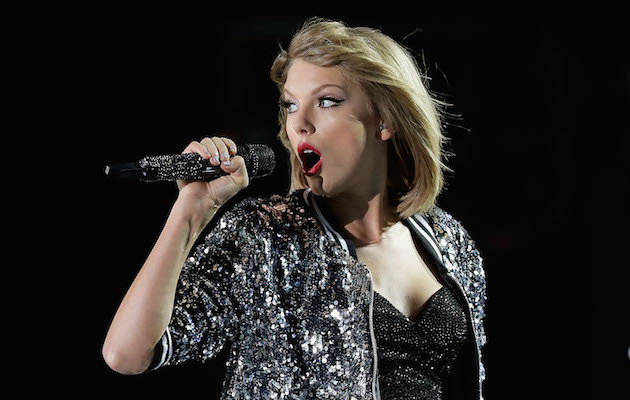 The old Taylor Swift isn’t dead after all. The 28-year-old singer premiered the music video for her new single “Delicate” at the iHeartRadio Music Awards on Sunday, and fans get to see her goofy side — and signature dance moves. The video starts off with Swift doing interviews on a red carpet and taking selfies with fans at an event while being flanked by security guards. The singer is stealthily handed what turns out to be a magical note in the midst of all the chaos. Shortly after, the star realizes she’s suddenly become invisible and celebrates by throwing off her shoes and dancing to her heart’s content — including shaking it off on top of the hotel bar. She continues breaking it down as she moves into a subway station, splashes in the rain and even does the splits on a car. At one point, Swift passes by Joe’s Deli (likely a special nod to her boyfriend Joe Alwyn, who inspired the track). Swift then heads into the Golden Gopher bar in L.A., which seems to be a reference to her lyric “dive bar on the east side.” As she holds the magical note in her hand, it dissolves and the other patrons are again able to see her. However, the singer appears to focus on an unseen guest (our bet’s on Alwyn!) and smiles serenely at the end of the video. The music video was shot over two nights in downtown Los Angeles and features historic landmarks including the Los Angeles Theatre and Millennium Biltmore Hotel. “Hey guys, I just wanted to thank you so much for this award and to the fans for everything you have done and always do and continue to do. You’re the best,” she said in a pre-recorded acceptance speech for female of the year. The love song is one of the most intimate tracks off Swift’s record-breaking album reputation, and fans have speculated it was written about the beginning of her romance with her British actor boyfriend, 27. 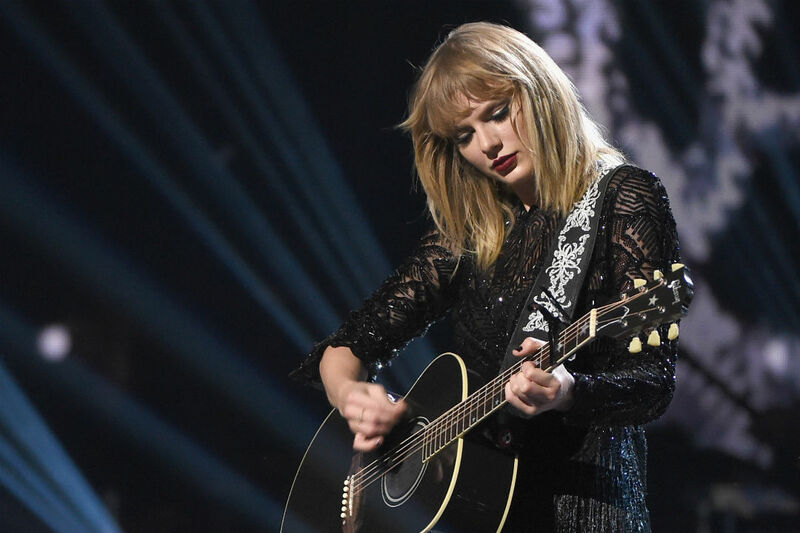 “This ain’t for the best / My reputation’s never been worse, so / You must like me for me,” Swift — who was photographed hiking with Alwyn this week in Malibu — sings at the start of the song. Before the video premiered on the show, Swift surprised a fan by dropping into her Instagram live. “My fam says hi — it’s Austin’s birthday ! !” wrote the star about her younger brother. “BABY C ON I HAVE TO GO WATCH THIS I LOVE YOU GUYS BYE,” she added about pal Camila Cabello‘s performance. Earlier this week, director Joseph Kahn — who’s been at the helm of many of Swift’s biggest music videos including “Bad Blood,” “Look What You Made Me Do,” “Blank Space” and more — gave clues about the themes behind the “Delicate” music video. The iHeartRadio Music Awards air Sunday at 8 p.m. ET on TBS, TNT and truTV.